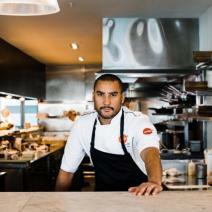 If there is one chef that everyone in Auckland knows about, it's Gareth Stewart. The man is a culinary legend, leading the charge of New Zealand’s prominent hospitality group the Nourish Group (which include restaurants such as; Euro, Jervois Steak House and Shed 5). Gareth is the host of The Weekend Chef food and wine series and has previously starred as one of the two guest judges on My Kitchen Rules New Zealand. The Wharekauhau weekend starts on Friday with a classic winter banquet. Think long-tables, laughter, red wine, tall-stories, and some of Gareth’s personal twists on classic favorites. Saturday is all about you, take a hike, relax by the fire, venture off to Martinborough for a wine tasting, explore the Wharekauhau property with a guide, the options are a plenty! In the late afternoon, join Gareth for an exclusive master class in the Owners Cottage, before returning to the lodge for an evening of classic fine dining featuring some of Gareth’s favorite dishes from his culinary travels. Favouring clean foods that are not overly complicated by excessive processing. Gareth’s style of cooking delivers fresh exciting flavours which let the produce speak for itself, while showcasing the very best local seafood and other ethically sourced ingredients. Friday night winter long-table banquet dinner.